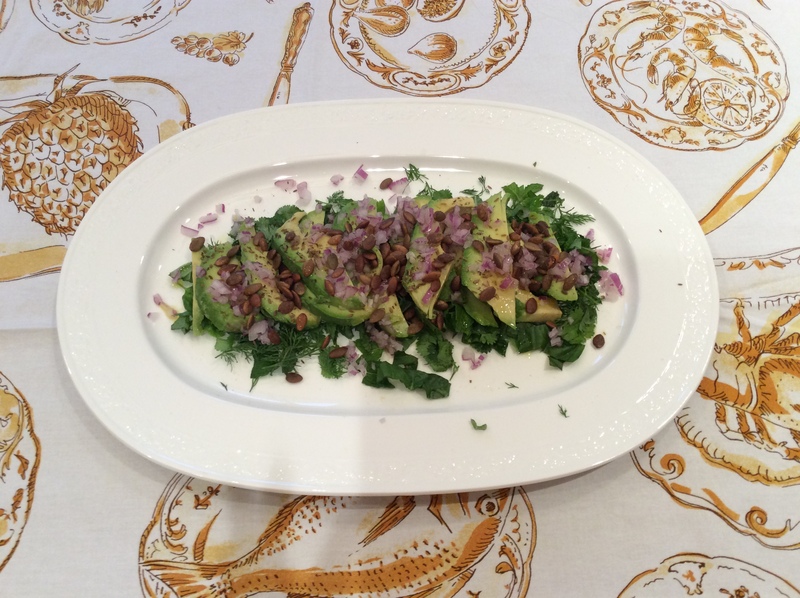 “Date Night In” Nourishes You & Your Relationship! I learned about a fun blog from a woman name Faith that I did a ‘talent trade’ with (she helped with my garden design in exchange for my organizing & interior design help). 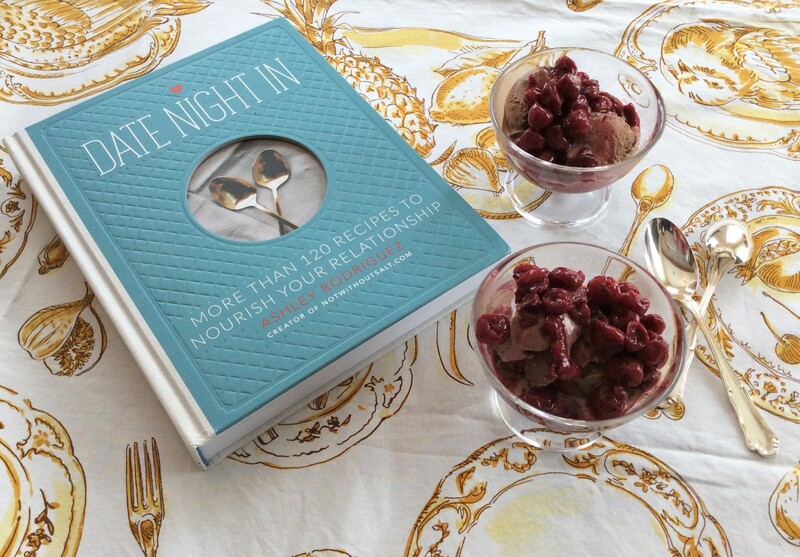 At the time I started following ‘Not Without Salt’ the blog author, Ashley Rodriquez, hadn’t had her cookbook published but when the release was announced, I ordered a copy of “Date Night In” right away. This was in spite of the fact that I had never actually made any of the recipes on her blog BTW. Her lovely photography and blogging style were enough to compel me to buy it and I’m so very glad I did!! So it didn’t surprise me when Steven went digging in our mudroom (through my mountain of cookbooks) to find “Date Night In” early last week. He spent quite a bit of time pouring through it and left it open to the “It Gets Him” menu. In spite of the fact that I’m a bit overwhelmed with work at the moment, I set the date night for Friday and got busy planning. I managed to get the shopping done on Tuesday night with the grand intentions of doing the numerous advance cooking items completed over the next couple of days. Needless to say, my week got away from me so I instead spent most of the day puttering in my kitchen while juggling time between cooking and my toddler. I will say that it was time consuming – maybe it’s my slow pace? – but the end product was soooo worth it! The whole menu (cocktail, salad, main & dessert) was some of the best food I’ve had and definitely the best that I’ve prepared myself. The flavor of the Citrus Braised Pork is to die for and so simple. And the ritual of the date itself is so much fun. 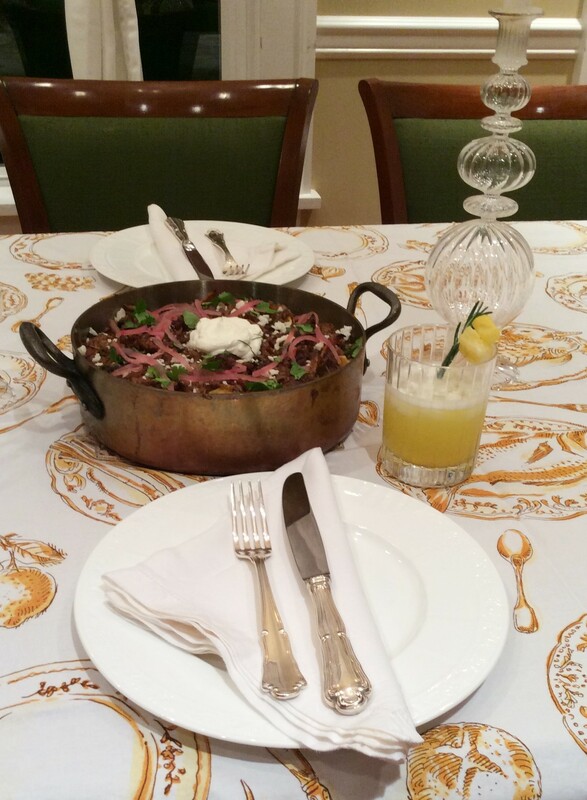 Ours started with the cocktail when he arrives home from work followed by a quick goodnight tuck in for Reina and then having a long, relaxed meal. Perfect in every way. I had fun setting the table with a cloth we bought from the Beauville factory in France while honeymooning for the extra touch of memories. If you ever meet my husband ask him to tell you the story of almost missing the train in Colmar because we had so many bags (filled with the spoils of French shopping) for him to load during it’s quick stop 😉 He wasn’t thankful at the time but now he relishes each occasion we use our mementoes. 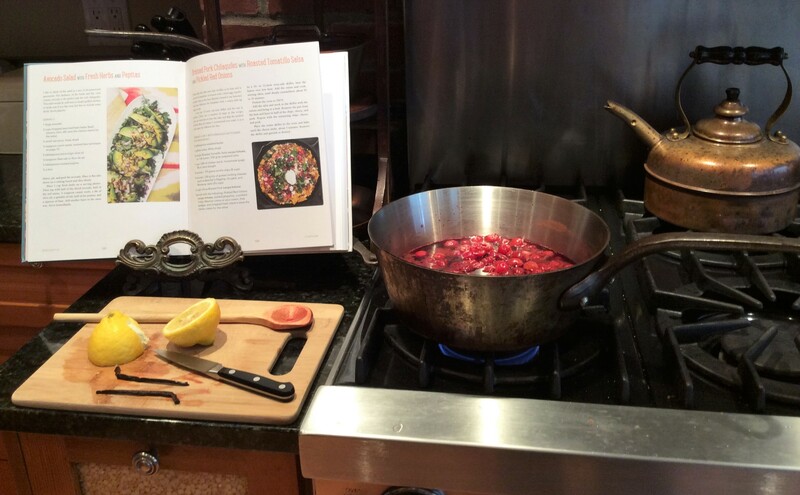 I do not begin to have photographs as lovely as Ashely has in the book, but I wanted to share our nice meal so I hope you enjoy them and put this special cookbook on your ‘to buy’ list! It’s currently on backorder BTW, but Amazon will keep one reserved for you if you click the link above. Or better yet, subscribe to Ashley’s blog as she sells them there too and will surely announce when the new stock arrives. Previous Article Cool Baroque Sconce!